As per the recent study, there are 1 billion active users on Instagram every month, and around 1 billion photos are liked every day. Over 25 million accounts using the Business profile on Instagram. In Instagram, the quality of the posts is much more important than the quantity. According to the research, Instagram user interaction with brands is 800 percent higher than Twitter and Facebook. Around 70% of Instagram users are between the ages of 18-29. This makes Instagram a highly competitive network to reach the target audience and to increase brand popularity. In this article, I’m discussing 6 easy ways to drive the organic traffic to your site that will helps small businesses and startups to grow their brand on this social media platform. This is the first and important step among all. You must have an attractive profile that users love to follow. Keep an appropriate profile image. If you are a small business or startup, it is good to keep your brand logo as a profile pic. Write the attractive and meaningful description of your business also, include the website link in the profile description. We all know Instagram is a photo sharing platform. Every user expects to see high-quality images. Most of the Instagram marketers upload low-quality images on their profile. It creates a bad impact on the user’s mind. Always try to upload high-quality images. Nowadays, a video is the most engaging content type on all the social media platforms. Instagram allows users to upload 3 seconds to 60 seconds of video on the platform. You can use this feature to get better exposure and engagement on this platform. Make sure your videos are relevant to your business. You can upload videos of your new product/service, your office, and any new innovations, etc. Once you posted the video, make sure you have targeted the right audience. All your followers will see your every post. But, using the right hashtag will help you to get the notice for millions of people who are not following you. Always write hashtag that is relevant to the shared image. Check out which hashtag is best for your business and use that one in your post description. The standard and perfect way to get more engagement, use the 8-11 hashtag in your post. Use popular hashtags every day of the week. These include #motivationmonday, #transformationtuesday, #wisdomwednesday, #tbt etc. Also Read: 6 Tricks to Grow your Business with Pinterest. If you really want to grow your follower base on Instagram, you have to always active and engaging with your users. Posting the image or video is not enough to get success on Instagram, you need to engage with your profile all the time. You can also follow the brands that sharing the same posts, like and comment on their posts and the most important thing is the reply to the comments on your posts. 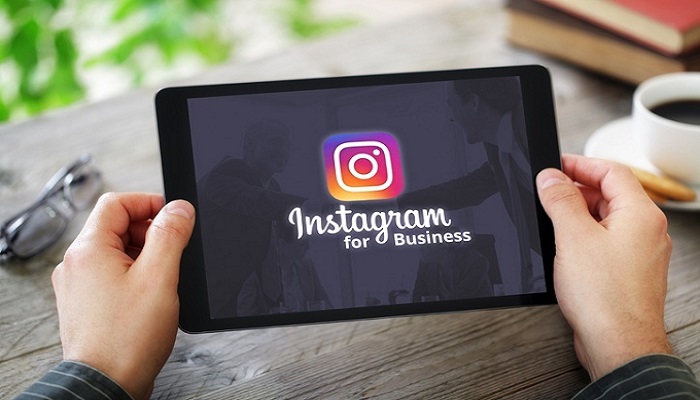 Most of the small businesses or Startups do not focus on Instagram. They post one or two images in a week. If startups need exposure and lead for their business then they have to post multiple times in a day. By doing so, you can reach the audience all across the globe and that will naturally increase your reach and engagement. This tactic will also help you to identify the best time to post and when your targeted audience will be active on the platform.